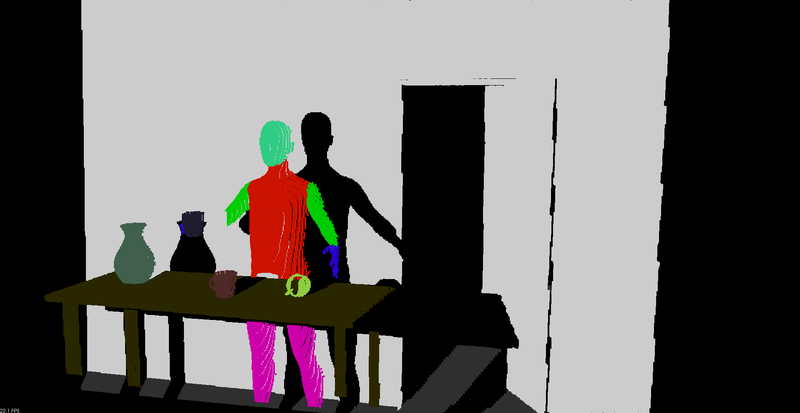 This is a scene with a human standing behind a table scanned by a Kinect camera. 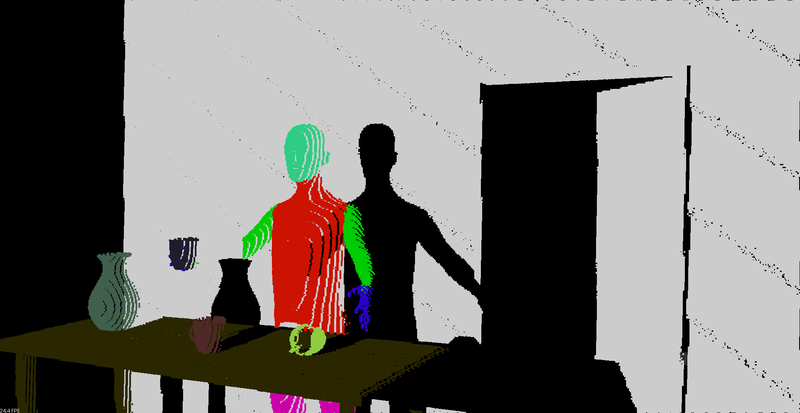 If you want to do the scan yourself you can download the .blend file. You need at least blensor 1.0.12 (not yet released as of March 27th) or the latest version from the git repository. 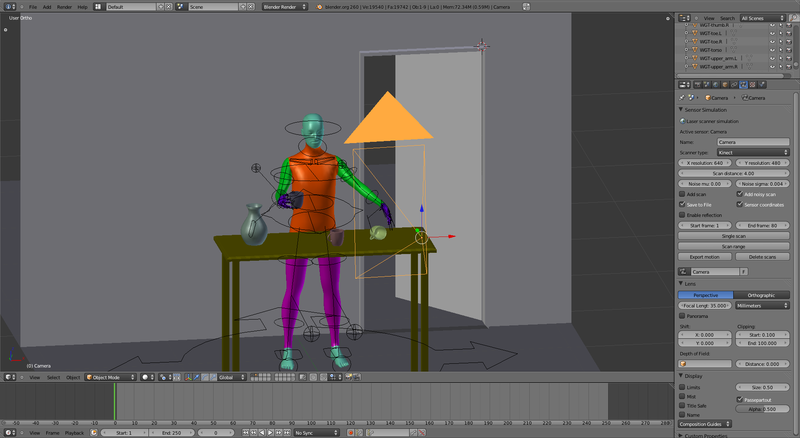 As usual the human is rigged, so yo may change the pose or animate it.